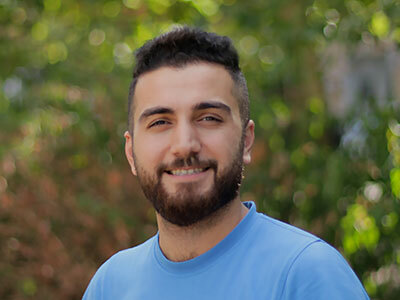 In 2012, Walid Habash escaped the war in Syria/Aleppo, leaving behind his studies in biology. In 2015, he came to Germany after a three-year stay in Istanbul. He quickly learned the local language and took up a position as an intern at Berlin Producers. His first and enduring love is music. Since September 2018, he has been training as a media designer in image and sound, where he is learning everything about the ‘moving image’ before one day becoming a star himself – on TV, of course.